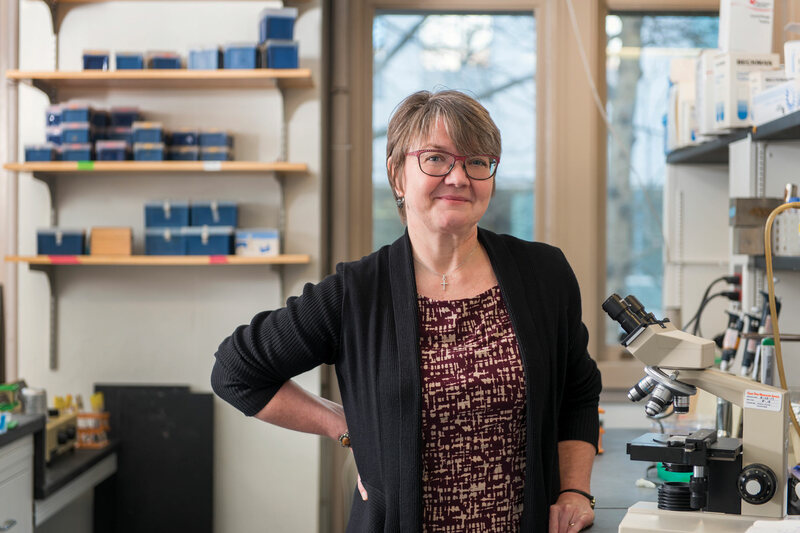 Mecky Pohlschröder, Professor and Undergraduate Chair of the Department of Biology, on gaining insights into the workings of microscopic ecosystems. Found in the blackest deep-sea vents, in the salt-laden Dead Sea, and in boiling hot springs, archaea—the domain of single-celled microorganisms that are distinct from both bacteria and eukaryotes—were initially labeled extremophiles for their proclivity for harsh environments. 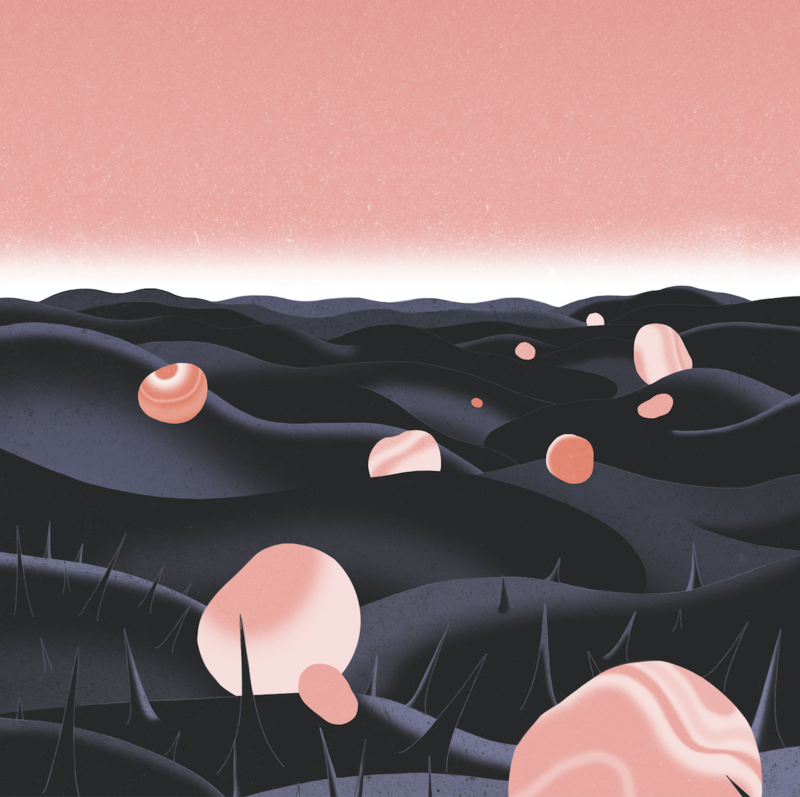 But more recently these organisms have been found in habitats as commonplace as the human digestive tract and temperate soils, prompting a rethink of archaea’s diversity and roles. Since the group was defined as distinct from bacteria in the 1970s, researchers have come to understand archaea as a kind of bridge between bacteria and eukaryotes, possessing certain features that resemble each group and others that are all their own. Yet much is still unknown about the basic biology of these organisms and what role they play in the ecosystems they occupy. These are the questions that have consistently driven Mecky Pohlschröder, a professor and the undergraduate chair of the Department of Biology. On the forefront of the archaea field, Pohlschröder has examined how these organisms make their way in the world, focused on how they use surface proteins to move, to form biofilms, and to anchor themselves in one place. Far from esoteric, her insights have the potential to inform the search for life on Mars and even the development of new strategies to combat infection. Pohlschröder, who grew up on a farm in northwest Germany, didn’t imagine herself as a scientist in her youth. Having seen her father devote himself to the care of the family’s pigs and cows, for a long time she planned to become a veterinarian. Pohlschröder’s plans for veterinary school faded when she realized she was thoroughly enjoying her biology classes, and a kind teacher pointed out to her that there was more to do with what she was learning than tend to the medical needs of animals. Thirsty to travel after a childhood that revolved around the pressing needs of her family’s farm, she won a fellowship enabling her to pursue her Ph.D. at an American institution. She enrolled at the University of Massachusetts, Amherst, studying how microbes degrade cellulose. On the cusp of earning her doctorate, she attended a conference and sat in on a talk that caught her attention. The speaker was Harvard University’s John Beckwith. She ended up pursuing a postdoctoral fellowship in his lab, employing genetic techniques to investigate protein transport in E. coli. Humbling, but educational. After three years of postdoctoral training, a similar chance experience, a lunch with Nobel laureate Hamilton Smith, directed her career down another new path. Smith, who had just sequenced the first bacterial genome, shared that he was next looking to sequence the genome of an archaeal species. Which is exactly what she did when she joined Penn’s faculty in 1998. An advantage of studying archaea, besides the fact that few other scientists were at the time, was that they were fairly easy to work with in a laboratory setting. Researchers can express proteins from a heat-tolerant archaeal species in E. coli, let them grow, then bring the bacteria to a high temperature at which all the bacterial structures break down. At this point, only the hardy archaeal proteins remain, ready for experimentation. For her laboratory studies, Pohlschröder typically uses Haloferax volcanii (H. volcanii), a salt-loving, or halophilic, organism isolated from near the Dead Sea and Great Salt Lake (not, as one might assume from the name, in a volcano; it was named for its discoverer, Benjamin Elazari Volcani). Interested in how these microbes interact with their environment, she has concentrated her studies on the proteins expressed on the cell membrane. NASA funds some of Pohlschröder’s work, as H. volcanii happens to tolerate the punishing conditions found on Mars: high-salt and high levels of gamma and ultraviolet radiation. Adaptations the Pohlschröder lab identified that permit H. volcanii to thrive in harsh environments might also come in handy on Mars. A structure that has captured much of her attention has been pilins, small filaments that line the surface of archaea, as well as many bacteria. Their ubiquity suggests that they are a truly ancient adaptation, present in an organism that gave rise to both archaea and bacteria. These structures play roles in allowing organisms to adhere to surfaces or to one another to form biofilms. Pohlschröder’s group discovered that pilins can also regulate the movement of flagella, the “tail” that some archaea and bacteria use to swim around in their environments. These diverse functions make pilins an area ripe for study. Collaborating with colleagues including David Roos, E. Otis Kendall Professor of Biology, she has developed computational programs that enable her to screen a broad swath of microorganisms, including bacteria; to identify potential pilins; and then to investigate their functions. “One of the programs has allowed us to see that there is a much larger diversity of pilins in the various organisms than had been predicted, giving us more targets to look at,” she says. With Benjamin Garcia, Presidential Professor of Biochemistry and Biophysics Epigenetics Program at the Perelman School of Medicine, Pohlschröder’s lab is beginning to examine how protein modifications may play a role in biofilm formation, a line of investigation that could have relevance to antibiotic resistance in diseases like cystic fibrosis. She suspects pilins have a role to play. Alongside her research, Pohlschröder has poured attention into education and mentorship. And strange though they may sometimes seem, archaea have given Pohlschröder an excellent teaching tool. A plate showing Haloferax volcanii streaks with growth and pigmentation defects. “H. 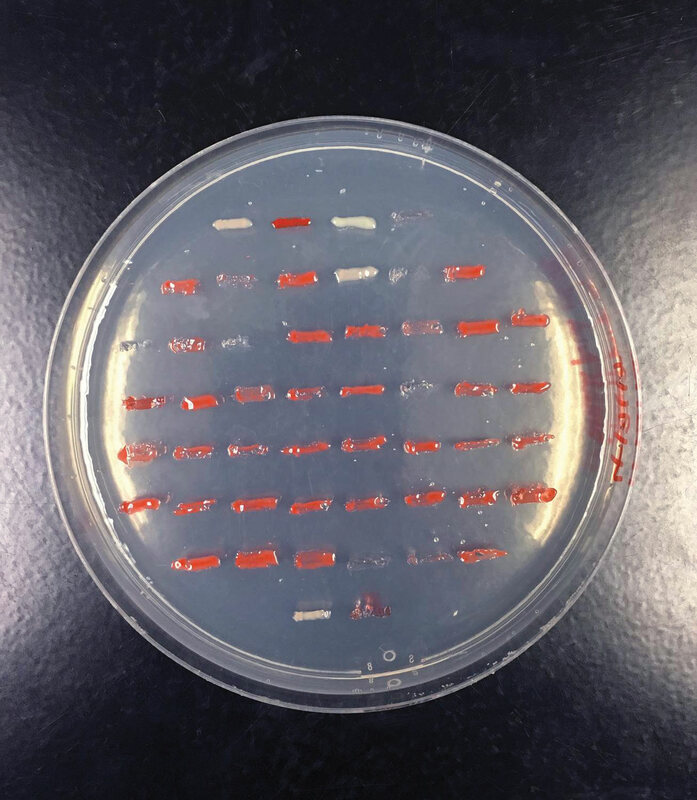 volcanii is ideal for use in student experiments because it is non-pathogenic and grows under high-salt conditions, so human pathogens cannot grow on the medium and sterile techniques are not required to prevent contamination,” Pohlschröder says. To share these lessons even more broadly, Pohlschröder has led professional development trainings for high school teachers from Philadelphia and other cities, providing teachers with supplies and equipment to carry out activities in their own classrooms, effectively reaching thousands of students. Pohlschröder welcomes trainees in her lab, from postdocs on down to high school students. Committed to expanding the diversity of life scientists, including those from underserved populations, she has also hosted high school students from Philadelphia public schools for the last several years. In her role as undergraduate chair, Pohlschröder has tried to open her students’ eyes to the possibilities, counseling them to look beyond the obvious choices. Discover the stories behind the Professor of Biology's favorite office items. Madeleine Andrews, C’18, a 2018 Dean’s scholar who graduated with her bachelor’s degree in biology with a concentration in ecology and evolutionary biology, spent two months in summer 2017 in the Argentinian rainforest, where she worked as a research intern with the Owl Monkey Project in the province of Formosa. An international team led by geneticist Sarah Tishkoff has identified new genetic variants associated with skin pigmentation.